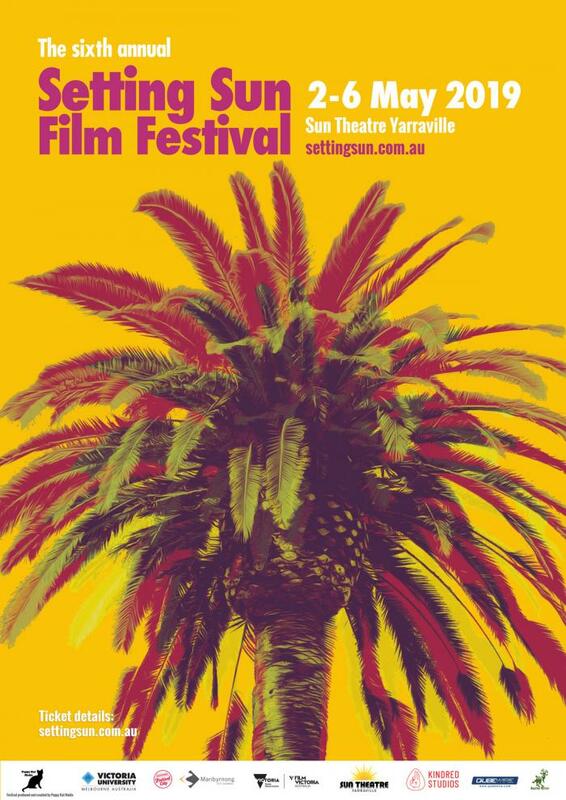 The premiere of a feature film set in Macedon, a man that makes a hologram of the perfect woman that no one can touch, an award-winning Claymation about a pesky hipster that moves in next door - these are some of the films that you can see at this year's annual Setting Sun Film Festival. With five days, ten programs and 105 films, the sixth annual Setting Sun Film Festival has something for everyone with a diverse program of films that include animations, drama, comedy, horror, documentaries and experimental. The festival will feature films from America, the Middle East, South Africa, Korea, Cuba and Canada. The popular female filmmakers' program, The Rouge, received a whopping 53 films this year from women keen to win The Film Art Media Award for Best Film by A Female Director and $1000. Films were entered in to the program from around the world and accounted for a third of all festival entries. We excited to be premiering a coming of age feature length film titled About An Age and directed by Footscray locals Evan J Martin and Harley Hefford. The coming of age story won Best Ensemble Cast at the Orlando Film Festival in 2018. The festival will kick off with an Opening Night program, hosted by Russell Fletcher, Founder of Impro Melbourne and local comic. It will feature films by finalists and conclude with an Award presentation. The winners in the short film competition will be revealed prior to the Opening Night. The finalists comprise a record number of female filmmakers. Other highlights include the free youth program the Rising Sun which will feature films by several secondary students that were also VCE Top Screen 2018 finalists. including the winner, Madelaine Jamieson, who made her claymation whilst a VCE student at Footscray City College student. This year, the festival will run a free workshop with Cinespace for people who want to learn how to make a short film with their smartphone. Places are limited so people need to book. A brief overview of the festival is listed here. An official program will be available on the website shortly. Hosted by Russell Fletcher, from Impro Melbourne. Launched by the Maribyrnong Mayor Cr. Martin Zakharov. Screening of films by some of our winners and finalists. Program includes docos, dramas, comedies and animation. Concludes with the presentation of trophies to the winners of our competition. Price includes a free glass of sparkling wine and popcorn. Australian Premiere of independently made Victorian feature film About an Age, directed by Evan J Martin and Harley Hefford. Followed by Q and A with the filmmakers. Hosted by Andrew Goodone. Free drink on arrival. Female Filmmakers' program featuring a range of films directed, written and produced by women from around the world. Diverse program of short films from around the world. Featuring films made by Secondary students including several VCE 2018 Top Screen finalists and winner. Diverse programs of short films from around the world.